The Workshop will take place in Warsaw (Poland), October 22 – 26 and is offered free of charge. The deadline for applying is over. All applicants will receive the answer by July 16th. 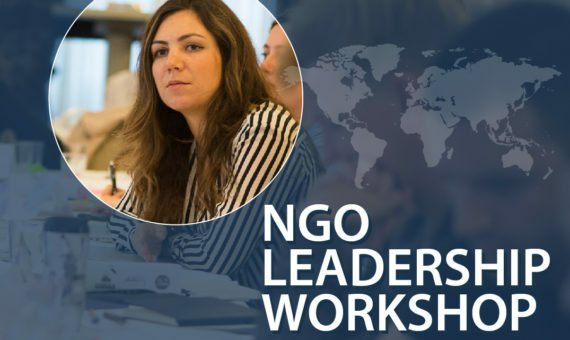 NGO Leadership Workshop is open to 25 NGO leaders from Albania, Armenia, Azerbaijan, Belarus, Bosnia and Herzegovina, Georgia, Kazakhstan, Kosovo, Kyrgyzstan, Macedonia, Moldova, Russia, Serbia, Tajikistan, Ukraine and Uzbekistan. Participants will be selected through an open application process and will receive the training at no charge. Good knowledge of English required. The objective of the Workshop is to empower selected civil society representatives to strengthen their internal expertise, managerial and income generating capacities, abilities to engage with both general public and government stakeholders and assist in networking with international linkages. Particular focus will be on the civil society organization (CSO) representatives advancing democratic accountability and rule of law in their home countries. The Workshop is structured around presentations by distinguished experts and follow-up interactive small group discussions and Q&A sessions. Day 1: Planning and Sustainability of NGOs by John Beauclerk, Development practitioner with wide experience in NGO management, INTRAC. See more detailed program here.